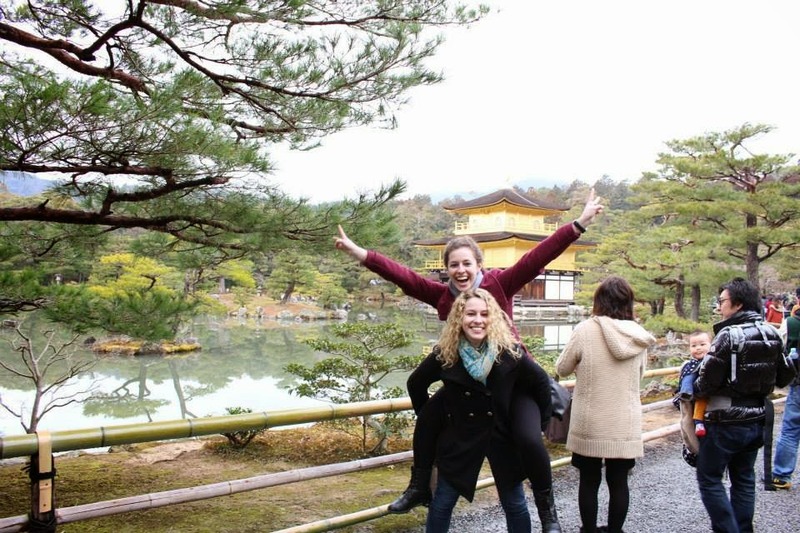 There and Back Again: Kickin it in Kyoto! For some silly reason, we decided an overnight bus would be a good idea, so we didn't waste a night in a hotel or a day travelling to Kyoto from Tokyo. The bus left Tokyo late and we arrived in Kyoto just before 7 am. LIES. Cute dog, why won't you give me wifi!?!? We headed up to the top of Kyoto on the bus after the helpful information lady basically laid out our schedule for us. It was still a beautiful walk, even though it was a gloomy day. Model of the zen garden. This also cost us like $4 and you couldn't just walk in and see it. friends in front of the pavilion! It was smaller than I had imagined, but still beautiful! make it in and get a wish! to get into the pavillion grounds? Okaaaaaay. No. 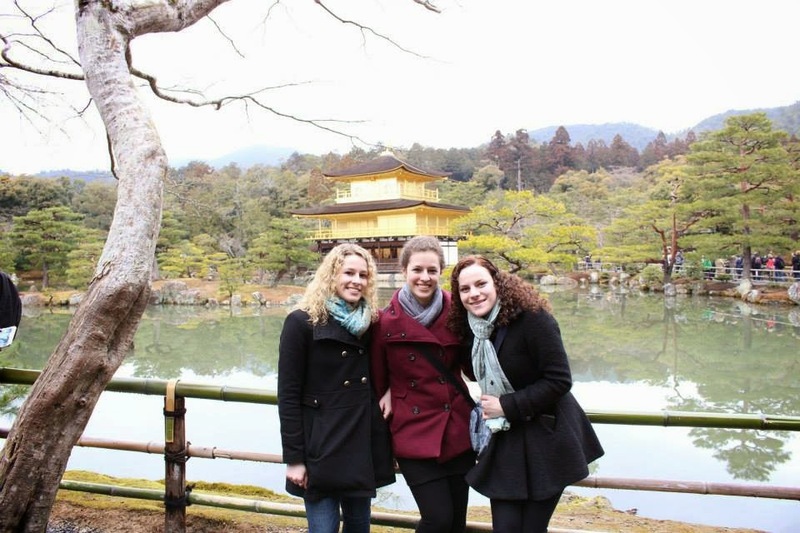 We headed over to Gion, the old area of Kyoto that used to be famous for being like, the homeland of the geishas. to see a bunch of kimonos. The colors in Japan are super cool! I guess this may not seem like much, but we did spend a lot of time wandering the streets looking at shops, as well as a lot of time on the bus. While Tokyo was cool in that things looked far on the map but were actually close, Kyoto was the opposite. Things that looked close took nearly an hour by bus to reach. The bus was also odd, cause you got on in the middle and got off in the front, which usually caused some confusion and traffic jams on the bus. Weird. Still, it was nice to see the famous city. I'd love to go back and check out some more temples and some of the other sights there! I'm on an OST kick lately, so I've been fluxuating between a few. Today's pick is from Hyde, Jekyll, Me, a sweet song about falling in love. I also love it cause it plays during the adorable moments of the drama, so I'm obviously gonna be partial to it. Time to Go to Tokyo! Super Awesome Care Packages, SM Town and Spam!